Home News Where does the City look for the next big thing? Where does the City look for the next big thing? The Historic District Development Commission (HDDC) is always on the lookout for ways to make Natchitoches accessible for events that will boost the economy and provide entertainment and activities for residents and tourists alike. There are numerous festivals and markets downtown throughout the year that have proven successful. Visitors stay in hotels and motels, shop and dine bringing in revenue. So where should they look for the next big thing? To the water of course. Cane River Lake is utilized for fishing, boating and not only by the dragon boats, which will convene March 3 for their races, but for the NSU rowing team to practice and race. The City has been approached to approve extending the docks on the riverbank with portable floating docks for rowing events. HDDC president Van Erikson said there are funds available for special projects and this request could be reviewed to receive those funds. “I think this would be a solid investment,” he said. Mayor Lee Posey said the first place 120 member team from Georgia has plans to come to Natchitoches. “It could be a boost for downtown,” he said. David Stamey reiterated the rowers would be in town mid-week when things are usually slow. The dragon boat races alone are expected to draw 20-25 teams. Brett Garfinkel representing NSU’s Modern in Motion reported over 250 people attended the four dance shows in November. He said NSU is hosting the ACDA National Dance Conference in April and have 350 already registered. Plans are for a gathering for the teachers and a separate one at the LHOF Museum for the students followed by a gathering for everyone to mingle. He said there are three big events coming this spring: the Theater West concert, A Streetcar Named Desire and Into the Woods. The Branding Initiative for Natchitoches is moving forward with Phase 2 complete. “We have logos in hand,” said Rebecca Blankenbaker. The committee will meet next week and will narrow the options down to two that will be brought before the February HDDC meeting. Erikson said Phase 2 was mostly digital. A potential aspect of the digital branding would be a calendar widget, or app. “It would pull all information into one place so we would have a comprehensive calendar. It would automatically pull dates and events from social media,” he said. Blankenbaker also said the numbers were in from holiday events. “The walking tours were up 20 percent.” She also advised Los Adaes is closed temporarily so displays can be upgraded. Rhodes updated the status on the St. Augustine bank project saying it was on hold due to lack of federal funding. He also announced the Cane River pumping station would be officially placed into operation Feb. 22. 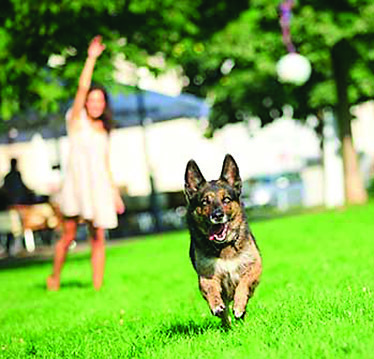 Posey said the City is still on board with making the dog park and bike path happen. He said the roadwork on the riverbank should be concluded within 60 days. It will progress from the north end to south to ensure there is space available for events. Edd Lee stated the central stairs and restrooms are nearing completion. Posey said holiday activities on the riverbank revealed the need for additional dance floor space in the stage/amphitheater area and that it would be addressed. Mayor Lee Posey displayed one of the pooch pick-up poles to be installed at some city parks. The pick-up stations will be supplied with gloves and baggies for disposal. Plans are for one to be placed at Pierson Mallet Park, two at City Park and two on the riverbank. Posey said they will be integrated into the landscape.